In the article by Tom Hickman, “Public Law’s Disgrace”, Hickman laments the fact that the “vast majority of the population have no access to judicial review in any meaningful sense.” He goes on to say that this “is because of the rule, derived from private law, that if a claim is lost the claimant must pay the costs of the defendant …” He therefore suggests the introduction of a one way costs shifting rule in applications for judicial review whereby if the applicant wins she recover her costs, but has to pay nothing if the public authority is successful. It is indeed the case that to bring or defend proceedings in England a party must commit to costs that are unknowable in advance and open ended. Not infrequently, the total costs end up out of all proportion to the value of the dispute or its importance. Going all the way to the Supreme Court may land the unsuccessful party with a bill running into hundreds of thousands of pounds. As an idea of where the parties may end up, I have recently heard of a claim for £5,000 in respect of personal injuries brought against two defendants, where the first defendant run up costs of £8,000, the costs of the second defendant were £30,000 and the claimant’s costs were a staggering £100,000. Not all claims generate such exorbitant costs, but as the law stands it is impossible to know in advance whether one’s claim would be one of those. The sad fact is that egregious examples or exorbitant costs are not difficult to find (see here, where a defendant recovered £10,885 on a counterclaim with costs of £345,000). Even a common run of the mill claim for, say, £35,000 would pretty much be expected to cost the claimant alone some £20,000. Seeking court assistance in England and Wales, whether as claimant or defendant, carries with it such a high financial risk that few have meaningful access to justice when they most need it. But I part company with Tom Hickman when it comes to finding a solution. Access to justice is barred not only to those seeking judicial review but to every person who requires court assistance. Whether we are involved in disputes concerning family breakup, inheritance, child welfare, eviction, damages for breach of contract or for damage to property, all of us are denied affordable access justice. This state of affairs undermines the rule of law. A community can be governed by law only if there is a court capable of upholding it, be it by punishing offenders, providing redress for wrongs, or restraining Government from riding rough shod over our rights and liberties. Rights and liberties are only as good as the machinery that protects them. No matter how fine the constitution, how advanced our private and public laws, we can derive little benefit from them if we cannot afford to seek court assistance when our legal rights are threatened or violated. This is the real law’s disgrace, and is not limited to the public law field. Tom Hickman regrets that legal aid has virtually disappeared and that judicial review is prohibitively expensive. But the right to the law’s protection is indivisible. The law is not just for the poor of for those needing protection from misuse of power, it is for all. The trouble with making a special plea for legal aid is that it expects taxpayers to provide for the poor what they cannot afford for themselves. It is therefore not surprising that successive Governments have faced no popular revolt to the continual cuts in legal aid. Legal aid erosion started with reduced eligibility, continued with budget caps, then budget reductions and now the wholesale removal of legal aid from most aspects of litigation. Nor is the solution to be found in one way cost shifting, in costs capping orders (available to some) , or in any other measure tailor made for particular types of claims of for particular classes of litigants. Quite apart from the discriminatory aspect of such arrangements, ad hoc schemes add to complexity and produce further costly litigation in border line cases. There is only one sensible solution: making litigation affordable to the ordinary citizen of this country. It is only when access to justice is available to most that a convincing case can be made for a safety net to cater for those who are too poor to pay for legal representation. A system capable of delivering popular access at reasonable cost is within reach. It does not need inventing from scratch since it already operates in other countries. Indeed, few countries are afflicted by what has come to be known as the English disease: unpredictable and disproportionate costs (something unknown even in the United States). The best model of facilitating access to justice is the German model. Like England, Germany has a cost-shifting rule, entitling the successful party to recover her litigation costs from the unsuccessful party. But, unlike in England, recoverable costs are not open ended. Instead, they are fixed by law as a reasonable percentage of the value of the subject matter in dispute (or its notional value where the claim is not for money). Parties are free to pay their lawyers whatever they agree, but they cannot recover more than a fixed amount. Since litigants know the amount of costs that they would recover in the event of a favourable judgment, they have every reason not to pay their lawyer significantly more than they are likely to recover in costs because doing so may leave them with a worthless judgment. So why doesn’t the English system adopt a similar rule? The answer is straightforward: resistance from the legal profession to changing a system that serves the legal profession well, as the above examples indicate. In England, lawyers normally charge by the hour, without an upper limit and regardless of outcome. The more complex and protracted the litigation, the greater the number of billable hours. As economic activity tends to follow the most rewarding path, forensic litigation practice has evolved accordingly, with the result that a culture of leaving no stone unturned has become normal practice. For instance, the more extensive the process documentary disclosure, the more time can lawyers devote to reading and assessing documents, which in turn increases their number of billable hours. It is not surprising therefore that the cost of disclosure alone in relatively modest commercial litigation can run into tens of thousands or more. And that is not the worst feature of the English system. More pernicious still is the fact that those who venture litigation are caught in a ratcheting vice from which escape is both painful and humiliating. A claimant or defendant who has despaired of the expenditure to date and wants out, can do so only by accepting complete defeat. That is, by submitting to an adverse judgment and paying the other side costs in full. A party who balks at her lawyers’ demand for greater investment in the litigation process will be told that she would be better off continue and pay what it takes because by doing so she would not only increase the chances of a favourable judgment but also protect her already substantial investment of costs. Paradoxically, under the English costs system a point can be reached where the costs are so much greater than the original amount in dispute that the litigation continues for the sake or recovering the legal fees rather than judgment on the merits. In the course of the Lord Woolf Inquiry on Access to Justice, I suggested replacing the English cost system with a variant of the German system. Lord Woolf floated the idea but did not pursue it. Instead, he reported that the suggestion “occasioned a general outcry from the legal profession”, which maintained that the “imposition of fixed fees, even relating only to inter partes costs, was seen as unrealistic and as interference with parties’ rights to decide how to instruct their own lawyers. There was widespread concern that these suggestions heralded an attempt to control solicitor and own client costs.” (Access to Justice, Final Report by Lord Woolf, 1996 ,HMSO, ch 7, para 17) Whether or not he was persuaded by this self-serving plea Lord Woolf dropped the idea. The Woolf reform left the economic incentives to complicate and protract litigation unchanged. Consequently, the new Civil Procedure Rules 1998 failed to lead to a reduction in costs; indeed, the opposite occurred. Within ten years of the new rules, Sir Rupert Jackson was asked to recommend means of reducing litigation costs and increasing access to justice. A system of costs budgets was introduced following Sir Rupert Jackson’s Review of Litigation Costs: Final Report, 2009. The report was preceded by seminars conducted by Sir Rupert all over the country. I attended one in Manchester and proposed fixed recoverable fees similar to the German system. A solicitor stood up and bluntly said that trying to get lawyers to support such a system was like trying to get turkeys to vote for Christmas. Again, the legal profession prevailed and the new budgets system largely preserved the level of income that solicitors and barristers derive from litigation services. It is very much to Sir Rupert’s credit that he proposed fixed recoverable fees in fast track litigation, but the Government declined to follow his recommendation. The Jackson budgeting system that was implemented requires each party to file ahead of the first case management conference a budget consisting of the costs incurred to date and of the likely costs to judgment. These budgets continue to reflect the existing practice. Lawyers preparing budgets base their estimates on the pre-existing standards of reasonable activity and tend to come up with the number of billable hours they would have expected in the past. Solicitors on opposite sides have no incentive to challenge the opponent’s budget as excessive since it provides them with a justification for filing a similarly heavy budget in response. On its part, the court must vet the parties’ budgets and approve them only if they are proportionate. But proportionality is a flexible test and largely reflects what is regarded as reasonable by the prevailing litigation practice. Yet, the prevailing litigation practice has evolved in response to the economic incentives that reward inefficiency and the greatest possible investment of effort in the proceedings. It is therefore not surprising to learn that budgeting has not led to a significant fall in costs. Quite the reverse, because the drawing up of budgets requires the investment of many hours by costs experts. Besides, these budgets are not writ in stone and the court has discretion to depart from them if subsequent developments in the litigation justify doing so. Quite apart from its failure to rein in costs, the budgeting system has one great defect, which continues to deter people for going to court. To get to the budget stage the claimant must commence proceedings and the defendant must file a defence. If on learning the size of the budget a party takes fright at the likely costs and wishes to withdraw, that party can do so only by conceding defeat, submitting to an adverse judgment and paying the other party’s costs. Consequently, persons unwilling to take an unaffordable financial risk will stay away from court, and most of the population is in this position. Given the failure of budgeting to cure excessive litigation costs and their unpredictability, Sir Rupert Jackson is now considering again the possibility of fixed recoverable costs. This is a welcome development, but celebration is premature. Once more, the fear must be that the system will be designed to maintain current levels of income that the legal profession derives from litigation services. If, like budgeting, the scales of fixed recoverable costs are going to reflect current forensic practice, there is a danger that litigation will continue to be unaffordable. For one cannot overstate the fact that current professional practice is as much shaped by economic incentives as it is by procedural principle or necessity. Access to justice is also adversely affected by court fees, these have greatly increased in recent years due to Government policy to make court users pay for the service. Consequently, court fees are now very substantial. For example, in a claim for £35,000 the court fees from start to finish at first instance (including issue of proceedings, 2 interim applications, costs assessment, etc) would be £4,010. Requiring litigants to pay upfront such high fees amounts to a pernicious policy. As noted earlier, court service is a pre-requisite to the rule of law; where there is no court to apply the law, there is no law. If the court is open only to the few who can afford the high fees, it means that equal protection under the law is denied to the rest of the population. No other vital public service is expected to recover its full cost from the users. The immediate beneficiaries from health, education, transport, or police services are not asked to stump up the entire cost of these services. There is no reason why court users should do so, especially since many of them are victims of breaches of the law and cannot be blamed for seeking court redress. There is no greater justification to charge them for the entire cost of court services than there is to charge the victims of crime for the cost of policing. The dramatic increase in court fees attracted vociferous criticism from all branches of the legal profession. But the moral authority of their criticism leaves something to be desired. For it is as well to note that court fees pale into insignificance when compared with the fees charged by legal representatives for litigation services. Yet their professional bodies have strenuously defended the rules and practices that put access to justice beyond the means of the greater part of the population. In conclusion, the court is a vital component of the rule of law, without which we can have no security, no welfare, no prosperity and no civilisation. For the court to fulfil its role it has to be reasonably accessible to all those whose rights are infringed or liberties are threatened, and not just to some subsets of society. Access to court must therefore be reasonably affordable to all. It is only when this becomes reality that it would be reasonable to make a case for subsidising the poor or for some special arrangements for judicial review. May I add two points to Adrian Zuckerman’s excellent post. 1. Once a High Court claim exceeds £200,000, as probably the majority of commercial claims do, there is no increment on the £10,000 court fee. This means that when corporations litigate for weeks or months on end, all the additional judge-hours and court facilities come free. 2. The Woolf reforms require the parties to cases lasting a day or less to have their bills of costs in court for immediate assessment. In over a decade in the Court of Appeal I do not recall a single challenge by the losing party’s lawyers to the sometimes colossal amounts claimed by the winning party. A glance at the losing party’s prospective bill usually showed why. It was left to the court to scrutinise the winner’s bill. It might include extravagant fees to counsel. It might include lengthy travelling time at several hundred pounds an hour, during which the solicitor was supposedly not working on another client’s papers at a similar rate. Not infrequently one side’s telephone attendances on the other side totalled several hours more than the other side’s billed attendances on them (presumably the former had been conducting negotiations with an answering machine). If people make an effort to learn the law, then they do not need to rely on lawyers. In an age where education opportunities are abundant, such as the law degree from the Open University (the one in Milton Keynes), there is really no excuse not to learn to stand on one’s own feet. On the issue of court fees, court time, like many other things in life, is a limited resource. The role of court fees is more than cost recovery, it also serves the purpose of allocating a scarce resource. Additional concerns caused by this state of affairs are a lack of practising constitutional lawyers. This was highlighted by Gina Miller’s recent case on the constitutionality of Brexit before the Supreme Court, when three of the judges sitting on this most important issue involving the UK Constitution were family law judges and only one a recognised constitutional law expert (who Disagreed with the Majority). This is because the UK does not have a constitutional court (such as Germany’s Bundesverfassungsgericht. Instead we are supposed to have judicial review, limited in both its remit and affordability (as you say), at a time of unprecedented constitutional upheaval and multiple referendii. Further to my recent comment, it is worth noting the litigation just started by ClientEarth to challenge new costs rules brought into effect in England today. Client Earth says it had to start its proceedings under the old system because it couldn’t afford to take action under the new regime. Editors: Has the comment below been accepted or not? If it has, then this is a duplicate. Anthony Tsang: In my experience, as a science graduate, of qualifying first as a Chartered Patent Agent and then as a solicitor, the more law I learned, the more I realised how much more there was to know. Hence I concentrated on IP law and, later, environmental law. I would be likely to be completely at sea if I were to try to conduct litigation on my own in any other area of law against anyone experienced in that area, and would then depend for success wholly on the judge taking pity on me, and running my case for me – which would be impossible in practice as a general rule, and almost certainly wouldn’t happen for me. In fact, issues of law are relatively cheap to litigate, and it makes sense to instruct a suitably qualified advocate (solicitor or barrister) to handle them; what is liable to be seriously expensive, especially in contested cases, is the preparation and presentation of relevant and convincing evidence. That, and effective cross-examination of the other side’s witnesses, requires advocacy skills that are never going to picked up even by years of internet studies. I am no fan of the English way of litigating for most cases – Gina v. Miller was an exception – and believe the generally appreciably cheaper continental, e.g. German or Dutch, systems can offer a much better compromise between on the one hand relatively quick, and therefore cheap(-ish), disposal of cases, and on the other intensive, and expensive, intellectual jousting between highly skilled advocates. The now very ancient adage that the English courts are open to all, just like the Ritz, sadly remains all too true. We need to adopt across the board, not only the requirement of the Aarhus Convention (which applies to environmental matters) that any litigation should not be “prohibitively expensive”, but also to align our court procedures closer to the better continental practices, so that this requirement can be achieved without excessively complex rules on costs and investigations into litigants’ means. Although I did complete the first year of a law degree many years ago, my main experience of the legal system has been as a litigant. It is difficult for litigants to keep cost down on their own side, and sometimes you have to be downright abrasive with your own lawyers. I sacked, and did not pay, a QC after a very expensive visit to London chambers eventually revealed, after said abrasiveness, that he had embarked on a case conference without reading anything about the case. The opposition’s costs are a constant worry. The judges in my experience do not clamp down on delaying tactics by defendants who can only gain a psychological advantage from delays and repeated court occurrences, which are a constant frustration. Insurance was a saviour for me in a very expensive lawsuit against a public authority with a bottomless purse, but that is no longer a practicality unless the potential damages far outweigh the insurance premium. The availability of conditional fee agreements is also very limited now in many cases. I was fortunate enough to obtain a settlement and recover costs, but the experience, over seven years, was extremely stressful, had serious health consequences for me personally. No-one is ever going to get compensation for that. Yes, the system is a disgrace, and this sensible suggestion deserves support. I reacted to the very obvious arrogance and self interest of the legal profession many years ago by opting out of it and pursuing a different career. Having recently retired from that, I am hoping to embark on a comeback this year, with a bit of a mission to do something about it. I don’t expect it to be an easy crusade, so thank you Professor Zuckerman, for a bit of moral encouragement. Lord Justice Jackson’s review of fixed recoverable costs was issued on 31 July 2017 and recommends (amongst other steps) a new intermediate track of civil claims between £25,000 and £100,000, with fixed recoverable costs and a reduction in procedural work involved in getting a case to trial. 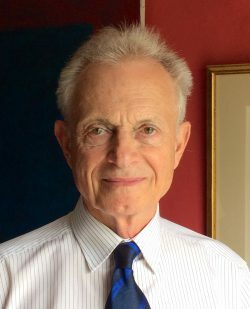 He, like Lord Justice Briggs (in his proposal for an on-line court in civil claims up to £25,000) now recognises that without a reduction in the absurd complexity of English litigation, costs cannot be reduced but only pushed elsewhere (like a pillow – to reduce its thickness, you need to remove some filling, not push it down in one corner only for it to emerge elsewhere). Jackson’s LJ’s recommendations are now with the Government for consideration and perhaps further consultation. In the meanwhile, as the author asserts, civil justice is not obtainable for most people and small businesses in England and Wales in claims between £10,000 (the upper limit for the small claims court) and about £250,000 (aside from personal injury cases where a different regime applies). This is largely because of the Government in 2013 removing (on the recommendation of the first Jackson report) the recoverability (from losing parties) of success fees and After the Event insurance premiums. This gets a bit technical, but, whilst claimants may enter into a ‘no win, no fee’ arrangement with their own lawyers, they are still faced with the potentially ruinous prospect of paying a large part of the opponent’s costs if they lose. If they do not already have insurance to cover that risk, it can be purchased after the dispute (the ‘Event’) has arisen. The premiums are high (maybe 50% of the sum insured (inc. Insurance Premium Tax), but deferred until the outcome of the case and written off if the case is lost. The trouble is that, if the case is won and the premium is payable, it may take a large chunk out of the compensation recovered. Add that to the (also now irrecoverable) success fee and other expenses and a claim of more than £250,000 may not be financially viable. Many solicitors realise this and advise their clients against bringing claims which may bring them little or nothing if they win. However, there are reports of cases in which clients have not found this out until it is too late, even ending up out of pocket in spite of winning. Jackson LJJ has set up a voluntary pilot scheme for claims up to £250,000 to be subject to recoverable costs capping, along the lines of that which has been working well for a number of years in the Intellectual Property Enterprise Court. I made a submission urging him to include such a scheme as a recommendation in his recent review, but he has stuck with seeing how the pilot fares. The problem may be that it will be shunned by large corporate defendants, because it is not in their tactical interests to make it easier for consumers and small businesses to litigate against them. Limiting recoverable costs (by fixing or capping them) should restore the ability of non-very-rich individuals and small businesses to access justice in claims between £10,000 and about £250,000 because it removes much of the ‘chilling’ effect of the risk of a substantial adverse costs order. To some extent, that risk has been mitigated by the application of ‘proportionality’ to recoverable costs, but the trouble is that the outcome is so unpredictable and claimants need to know where they stand at the outset. Objections from fellow solicitors that fixing or capping costs will load more costs on to successful claimants (because of the reduction of recoverable costs) and thereby inhibit access to justice are, in my view, misplaced. Solicitors already advise clients that only some of their fees will be recovered from the opposing party if a claim is won, with the balance to be paid by the client (usually out of compensation recovered). It is now accepted that fixed or capped recoverable costs will only work if there is less procedural work to be done, so the amounts clients need to be charged by their lawyers should go down (and will with competition). Moreover, ‘proportionality’ is already seeing bills for recoverable costs being slashed by costs judges, but in an unpredictable way. Fixed or capped costs should result in predictable proportionality. The iniquitous 2015 introduction of the Orwellian named ‘enhanced costs’ (was someone in the Ministry of Justice having a private joke?) saw claim issue fees rise about five-fold to 5% of the amount of the claim. The justification trotted out was and is that the courts need to pay for themselves. But what the Government does not say is that the civil litigation system makes an annual profit of about £100 million, which is the used to subsidise the criminal court system. In other words, this is a disguised ‘civil litigation tax’, which is targeted at claims up to £200,000 as, above that level, the fee is capped at £10,000 and the effective percentage rate drops for every additional pound claimed. This favours those engaged in larger disputes, usually large corporates. In summary, access to justice in civil claims is at present denied to people of ordinary means and small businesses in claims for between £10,000 and about £250,000 (with the exception of personal injury and few other specific types of claim). Introducing fixed or capped recoverable costs should greatly assist in resorting access to justice in such cases. Sorry, a typo: for ‘enhanced costs’ please read ‘enhanced fees’. Sorry again: in last sentence, ‘resorting’ should read ‘restoring’. Again, sorry, noticed another typo: 3rd para should read “a claim of less than £250,000”. I was pressed for time. This entry was posted on February 27, 2017 by Constitutional Law Group in England, Judicial review and tagged access to courts, Legal Aid, Rule of Law.